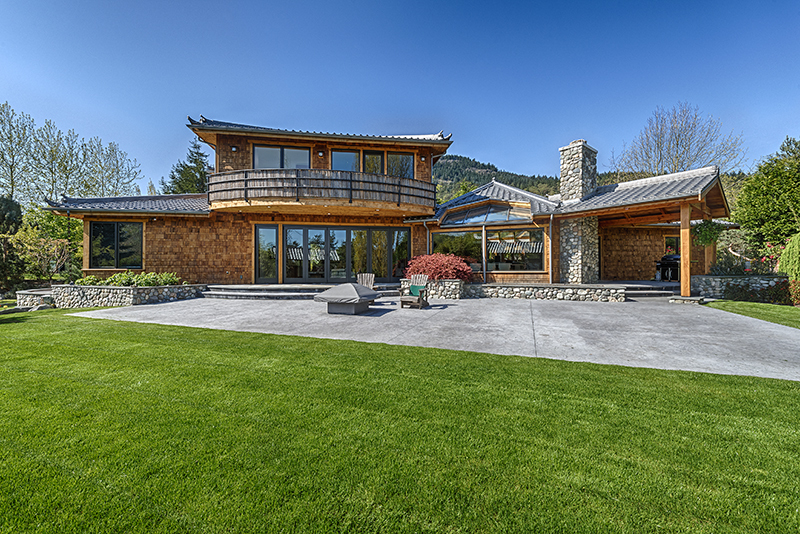 Habitat Construction of Anacortes, Wash., recently garnered a first-place award from the Washington State Builders Association for a grandiose remodel of a Washington State waterfront house, now worth $1.75 million. Award-winning home remodel by Habitat Construction. Habitat Construction of Washington State received high honors for its first-place transformation of a waterfront home in Washington that recently turned a formerly modest home into a Japanese-style botanical wonderland, now worth $1.75 million. 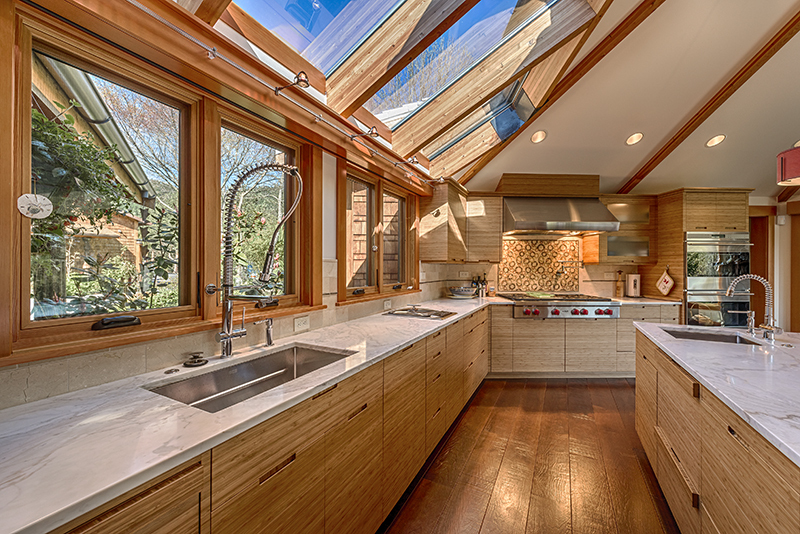 This award, given by the Washington State Builders Association, falls under the category of a full-home remodel of more than $500,000. The home sits on a magnificent landscaped seven-acre plot that was previously featured in Sunset magazine, a beautiful showpiece in its own right. “It is a great feeling to be recognized by your peers,” said Pete Peterson, owner of Habitat Construction. “I've provided custom home-building and remodeling services since 1975, and this particular project allowed our crew to stretch their imaginations with materials and design." The residential remodeling project transformed a 1,300-square-feet kit home originally worth $100,000 into a $1.75 million-dollar showplace featuring Japanese-style architectural, world-class gardens, and Northwest Craftsman elements. Contractor/Owner Pete Peterson of Habitat Construction, Interior designer Amy Van Dogan of Craving Design, and Shannon Good of Good Home Design, worked together in creating the look. This was achieved through the use of walnut flooring, bamboo cabinetry, white marble, yellow onyx, Japanese tile roofing, and traditional timber framing. Habitat Construction has also been the lead designer for other remodels and specialty homes in Skagit County, including The Isles, a cottage community located in Anacortes, Wash. These homes offer a beautiful view of the Guemes Channel, and are located in the vicinity of Highway 20 and the Anacortes Airport, near the San Juan Ferry Terminal. Click the following link to learn more about them: http://www.youtube.com/watch?v=SzR8lTcRw84. Two homes in the community are now for sale with about six more being built. Habitat Construction was formed in 1975 by Pete Peterson, a master builder with 38 years of craftsman experience. 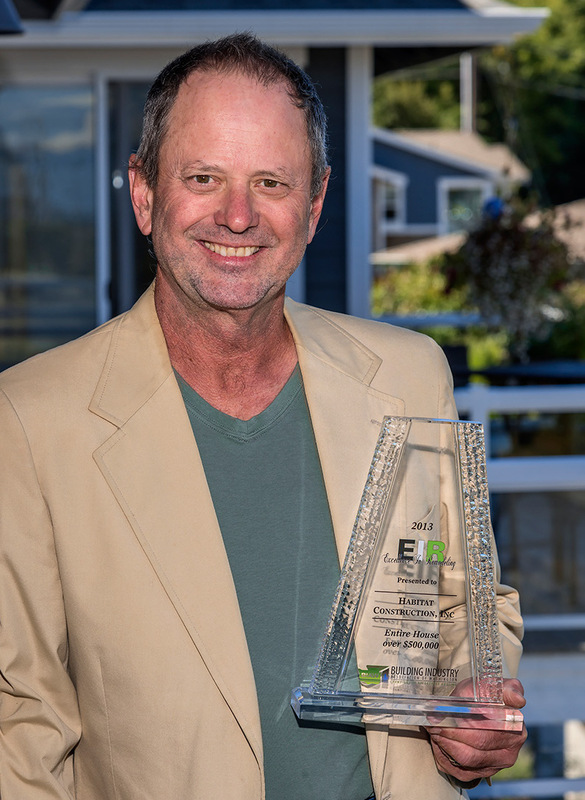 During his career he has built custom homes for many Microsoft® executives who own second homes in the San Juan Islands. 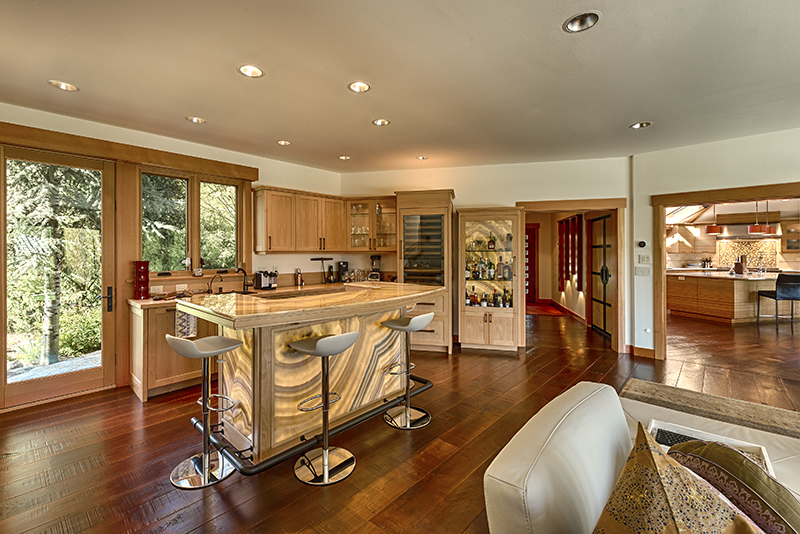 He continues to provide custom home-building and remodeling on Guemes Island, and in Anacortes. Peterson’s reputable work has led to the development of The Isles, a cottage community which blends Asian elements of self-sustaining landscapes with northwest craftsmanship. 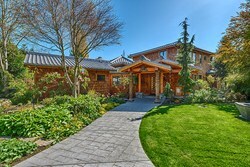 This cottage community is located in Anacortes, Wash. To learn more, go to http://www.IslesAnacortes.com. 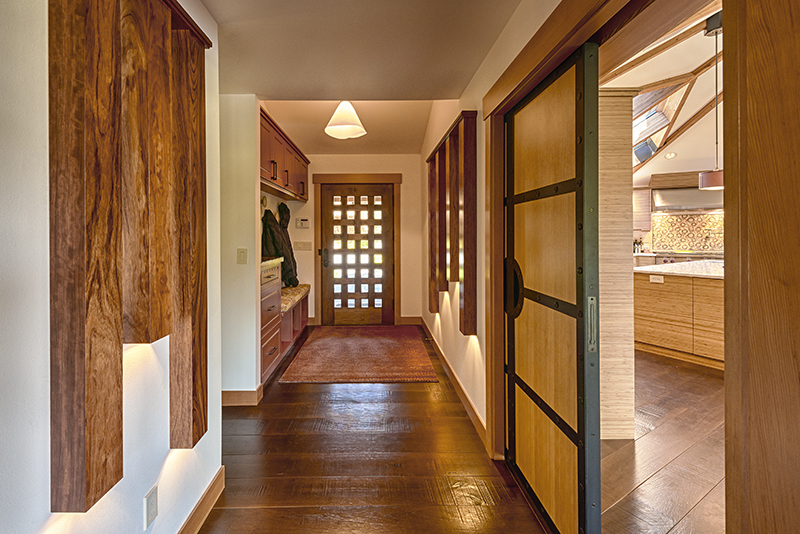 His work now specializes in the construction and remodeling of contemporary northwest-style homes. Pete Peterson, contractor/owner of Habitat Construction Outside view of the award-winning home. Inside view of the award-winning remodel.